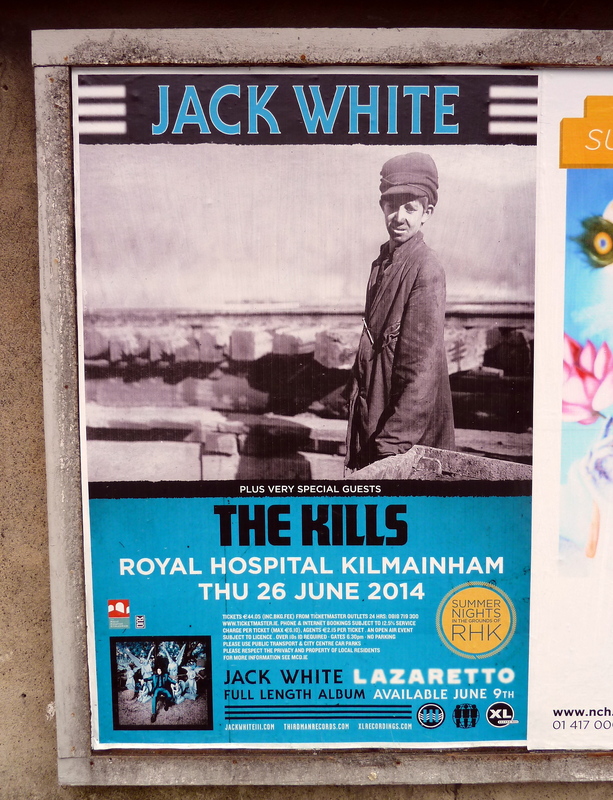 Two of my absolutely favourite bands, The Kills and Jack White, played at Royal Hospital Kilmainham in Dublin on 26 June 2014. It was a fantastic gig. 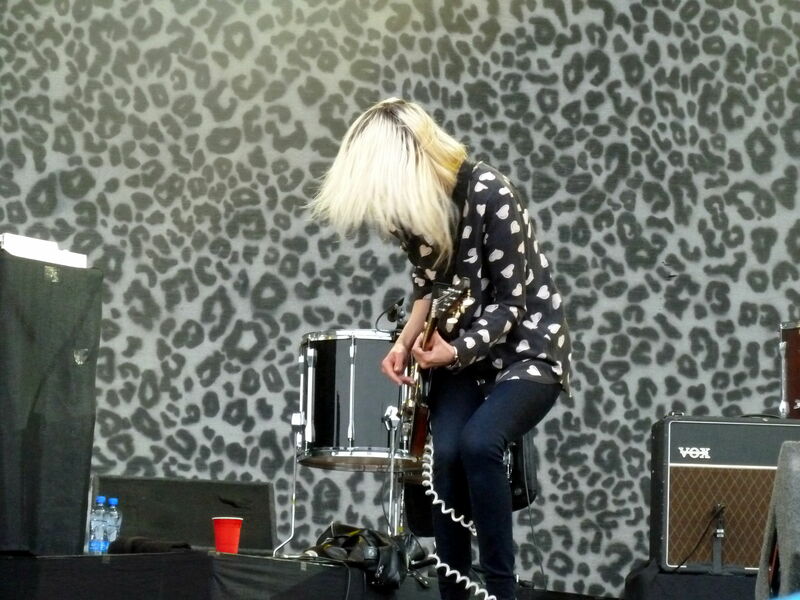 The number one Alison Mosshart fan was wearing the same shirt as her! And here’s ‘Satellite’ (click to go to YouTube). 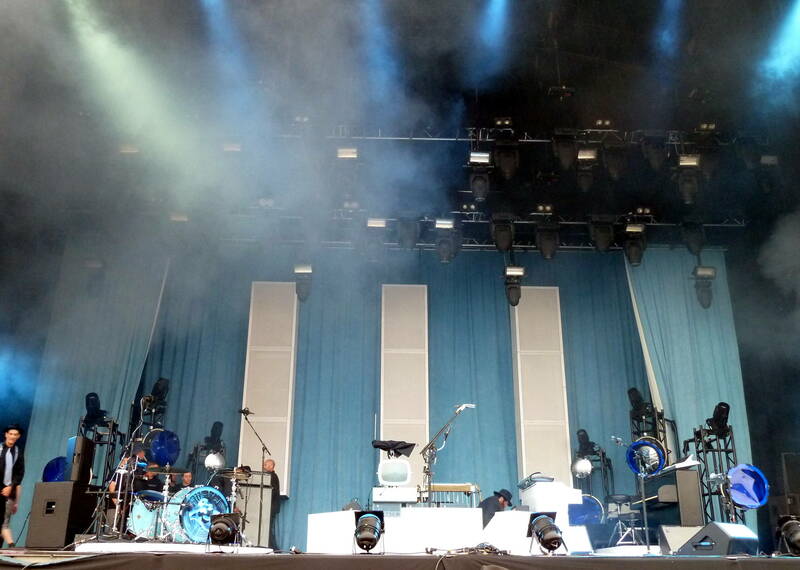 The Kills played for about an hour and then the stage setup for Jack White began. It was quite elaborate with all rowdies wearing matching black suits and black shirts and light blue ties. 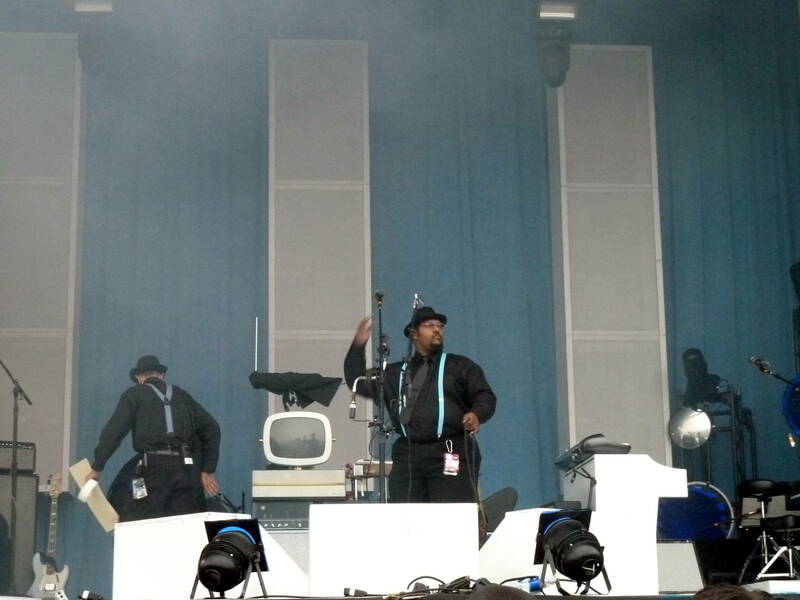 Most props and things on stage were white with a bit of blue here and there. 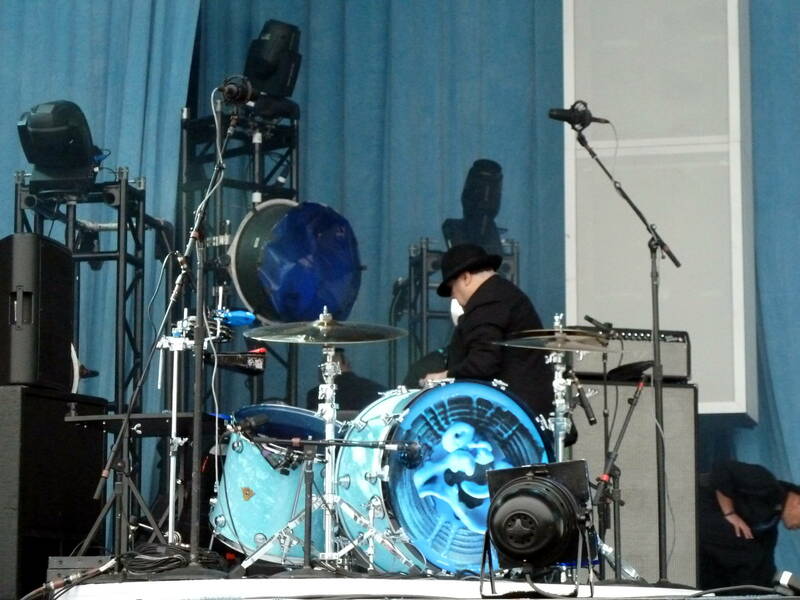 Jack White’s band came on stage first and started playing their instruments one after the other. And then Jack came out. Wearing a blue suit with the same blue colour shirt. While the band were playing he took his time to walk to the front of the stage and tie his black tie while checking out the crowd. He then walked over to his white TV screen in the middle of the stage, switched it on so three stripes came on, got his guitar and started playing High Ball Stepper. 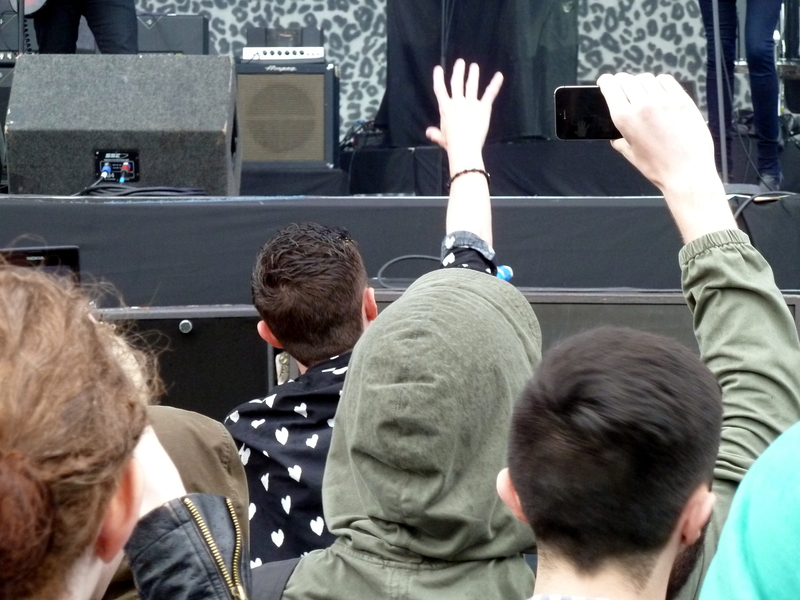 The crowd was engaged straight away and howled along (if you know the song, you know what I mean). Everything on stage was white, blue or black. Except the bottle of champagne that Jack was drinking from. It had the famous orange label. 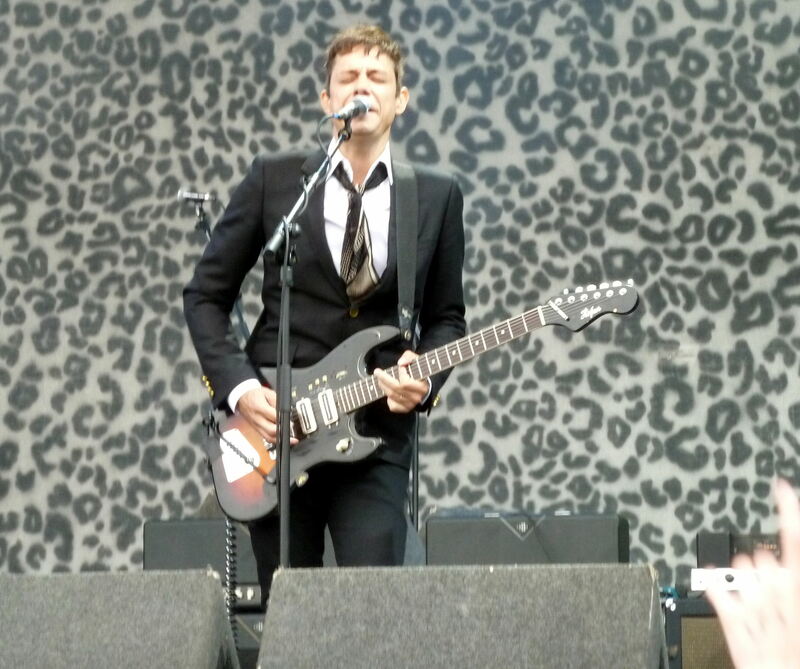 For about two hours he played songs from old White Stripes songs to new songs from his Lazaretto album. It is interesting to watch Jack White on stage because on the one hand you would think that he would be a badass rock ‘n roll guy but on the other hand he seems super nice. Acting like a good friend towards the audience, telling stories, feeling sympathetic about the rain (it rained for four hours straight). And to his band he is a mix of a fatherly figure who seems to encourage the others and a conductor who is in full control of what’s going on. Everybody listens to Jack’s commandos. 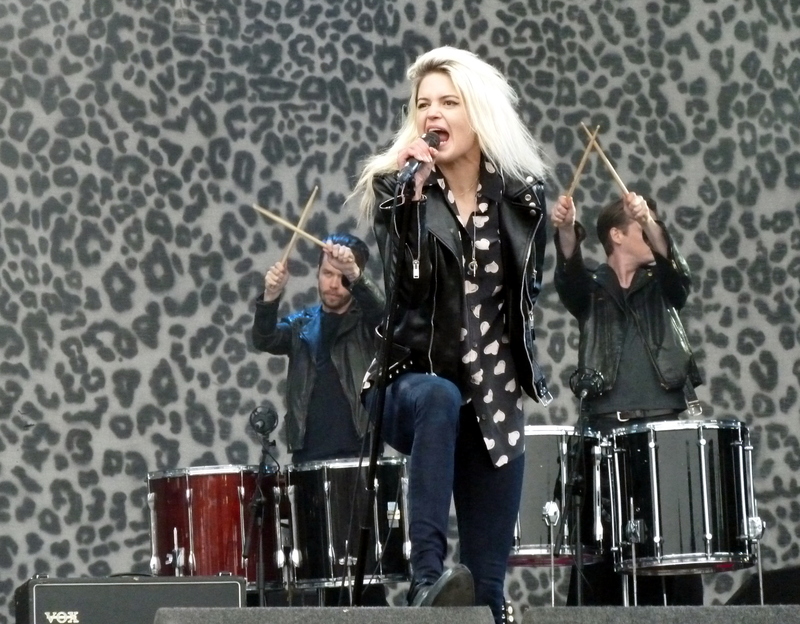 Halfway through the set a special guest appeared on stage: Alison Mosshart. They sang ‘Love Interruption’ as a duet. It was really good although they were both struggling with the lyrics. It seemed as if this was a bit of a spontaneous performance but that made it even more charming. Overall it was a brilliant concert. Luckily he’s coming back to London in November.